Home » Blog » blog » What is Roof Flashing? Wondering what exactly roof flashing is after your last peek up on the roof? It’s actually pretty important and plays a significant role in keeping your roof and home free from water damage. Flashing is installed along the seams of structures on your roof to direct water away from any openings or vulnerable areas. So naturally, it’s pretty important for keeping you and your structures safe and sound. To help you understand more about this essential roofing component, here are some common details on roof flashing. Flashing for the roof can be made of three different materials – sheet metal, composite materials or plastic. Since your roof needs superior protection, sheet metal is generally used since it is far more durable than the other materials. Stainless steel and copper are the most common metals used and are also more expensive than PVC-based plastic or composite material. But having superior, durable flashings is essential with the constant exposure to the intense weather element they will endure – particularly the sun. Roof flashing is commonly used for dormer windows and skylights. With these structures, strips of flashing are used to seal around and under the window materials. It will also be extended to overlap the roofing materials in front and behind the windows for added protection against the weather. 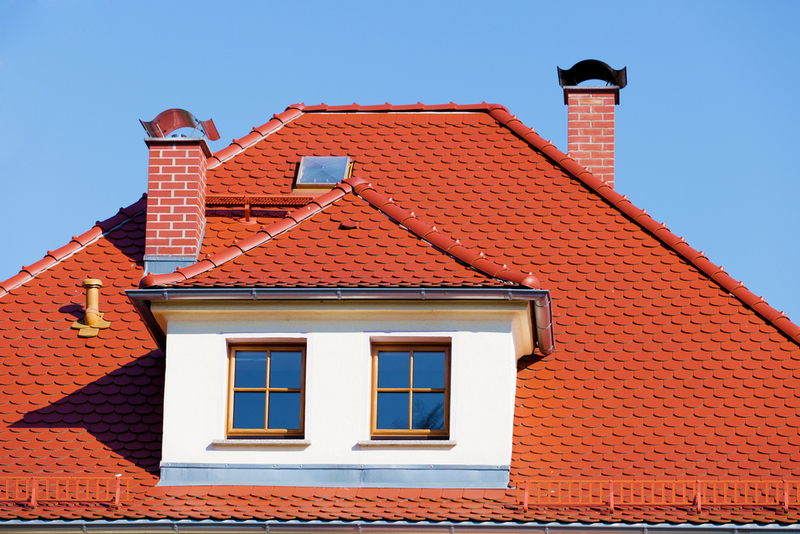 The majority of roofs will have either a hood vent or a pipe vent. Cutting a clean hole is important to make your flashing easy to apply. For hood vents, a flashing flange is installed under the shingles, and the flashing is applied over the shingles below the vent. For pipe vents, flashing must be installed over the pipe to extend 4 inches below, 8 inches above, and 6 inches on either side of the pipe vent. For the chimney, metal or PVC-based strips will be applied on the joint between the chimney and roof to seal the seam. The roof flashing must be installed to overlap the sides and edges near the shingles to prevent any moisture from seeping below the area. The mortar joints of the brick should also have cap flashing to seal it all in nicely. So, as you can see, roof flashing is very important and necessary. It plays a fundamental role in preventing water from percolating through those vulnerable areas and structures along the roof. If think your flashing needs some attention, contact us at Roofmaster. We can inspect your flashing and take care of any necessary repairs.